Understanding Termite behaviour is a great place to start when trying to control Termites or any Pest in that case. 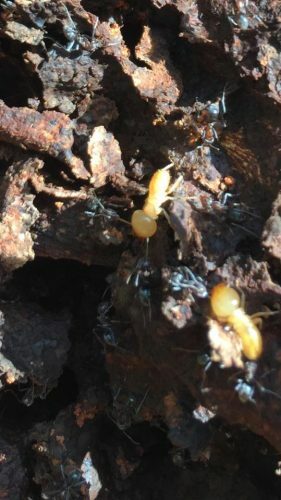 Termites work in many different ways throughout the year, especially during the Summer months when Termites are very active as they are cold blooded insects. Termites not only survive in summer, they thrive. 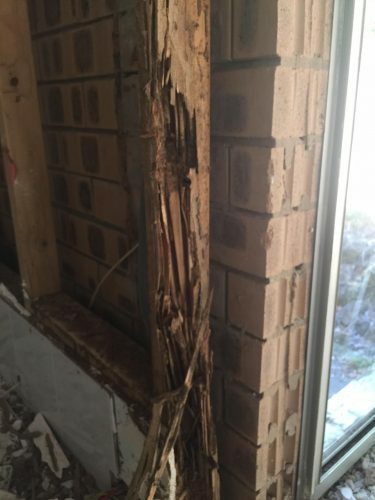 Termites are active 365 days a year, especially in Queensland and Northern New South Wales where higher than normal temperatures are all year round. Rest assured, The Pest Company can provide Termite Control solutions in managing your home from a termite attack. Conducive conditions attract termites, so if you can minimise the following conditions that may present themselves around the home, the better your home will be. Remove gardens from external walls, avoid water against the home, if you have retaining and landscaping timbers be sure they are treated timbers or a non susceptible materials, remove tree stumps, replace old timber fences and post, ensure all decking timbers are off the ground are just a few of the more common conducive conditions that homeowners need to be aware of to reduce the chance of an attack. Keep all conducive conditions away from your property or at least as far as possible away from the structure. Moisture is possibly one of the worst conducive conditions to deal with when trying to achieve Termite Control, ensure your drainage is adequate and Hot Water Systems and Air conditioning over flows are directed well away from the property, ideally into a drain. Warning #1 – If you find termite damage and no live termites this doesn’t mean the termites have left the building, they may have just been disturbed and moved a little further into concealed areas to avoid the light and will return later or continue on into other areas. Warning #2 – Please do not disturb the termite damage or workings until you get a licensed termite expert like The Pest Company (Call now: 1300 552 234) to take a closer look, if you disturb the termites too much it makes it very difficult to treat live termites if they are not there any longer. Rest assure the best way to tackle the situation is call us now for advice. There are more than 2,000 species of termites. Out of these, 300 are pests that can cause damage to property and plant life. According to the Commonwealth Scientific and Industrial Research Organisation, there are over 350 termite species in Australia. On the positive side, termites recycle organic matter back to the soil. The insects tend to avoid light as much as possible. As such, they normally tend to hide away in darkness by burrowing into materials such as wood. They also build tube like structures using mud. Termites thrive in a wide range of climates. However, they normally require moisture, optimal temperature, food, and shelter to survive. 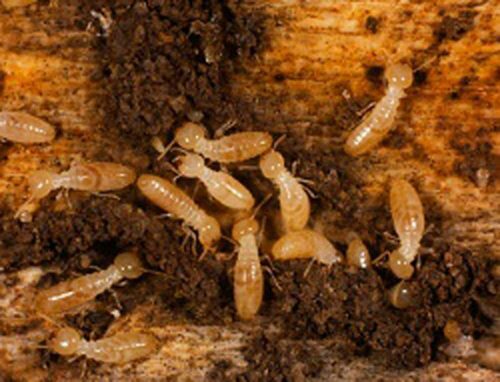 Termites do not have eyes but rely on chemical signals and sense of touch to move around, find food, and build shelter. Finally, termite colonies consist of an equal number of female and males, which is the case even for termites that work as soldiers. A few times every year, usually during the summer termites leave their colonies in swarms. The swarming may take place in the afternoon, If you notice any sign of this type of activity, it is an indication that there is a termite colony nearby. Termite swarms might appear in your absence. If you suspect this is the case, look for signs of discarded wings. When swarms leave a nest, they discard their wings soon after in order to start a new colony elsewhere. This is a sign that you have a termite problem. This is another sign that indicates the presence of termites. Therefore, you should look for any unusual patterns on wood, but more importantly is to get a licensed termite inspector to carry out a thorough Termite Inspection and Written report. Since termites tend to destroy wood from inside, look for termite droppings. If you spot droppings, which can look like fine dust, you are likely to have a termite infestation. This is one of the tell-tale signs of subterranean termites. The mud tubes serve as links between a termite colony and its sources of food. These are quite common in Australia and prolific throughout Queensland. They are easy to spot as they always protrude above the ground. Although termites typically prefer warm and moist areas, there are certain spots around a house that require regular checks. These include foundation cracks, areas where wood makes contact with the ground, areas with foam insulation, and areas where there are crawl spaces. All of these areas provide good entry points for termites, but in the real world of termites they can track up pretty much any material, steel, bricks and even treated timbers. 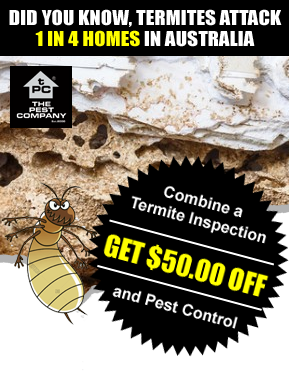 According to statistics published by CSIRO, only 20% of Australian homeowners hire a pest control professional to carry out termite inspections. The remaining 80 percent just assume their homes are safe from these insects. This can be a very expensive mistake, especially on the Gold Coast and in Brisbane. By using the services of a specialist, you will be able to clear the infestation before the termites damage your house beyond repair. It is also important to note that each house is unique meaning treatment options will vary widely. This usually involves the use of liquid termiticides to clear the infestation. You can opt to use repellant termiticides or non-repellant termiticides. Repellant termiticides create a barrier that is quite unappealing to the insects. To achieve this goal, one has to treat the soil thoroughly in order to cover as many termite entry points as possible. The only drawback to this form of treatment is that it only kills termites that come into direct contact with the termiticide. On the other hand, non-repellent termiticides do not repel the insects. 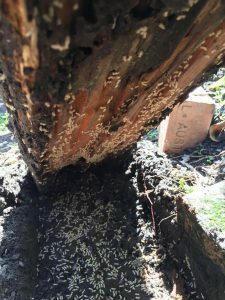 The idea is to let as many termites as possible come into contact with the treated soil. As a result, many end up dead with the possibility of a transfer effect back to the colony. Unlike the subterranean treatment, the dry wood approach is best left to the experts as fumigation will be required. If you see signs of a termite infestation at home, it is important to contact The Pest Company immediately. Because of the climate on the Gold Coast, Tweed Heads to Byron Bay areas and Brisbane it is crucial that you arrange an annual pest inspection. If termites get into your property it can be ruined in a short amount of time. The damage is on most occasions structural damage that requires immediate repair by a licensed Builder, Don’t waste any time call us 1300552234.